When a home is foreclosed, the bank or lender wants to get it sold as quick as they can. Lenders are not in the real estate business, so they will use a real estate agent to market the property. You can also buy a foreclosed home through the multiple listing service, but that can be filled with problems. Here's 4 tips to help you buy a foreclosed home. 1. Choose a foreclosure sale expert. Lenders will usually sell a foreclosed home through a real estate agent. 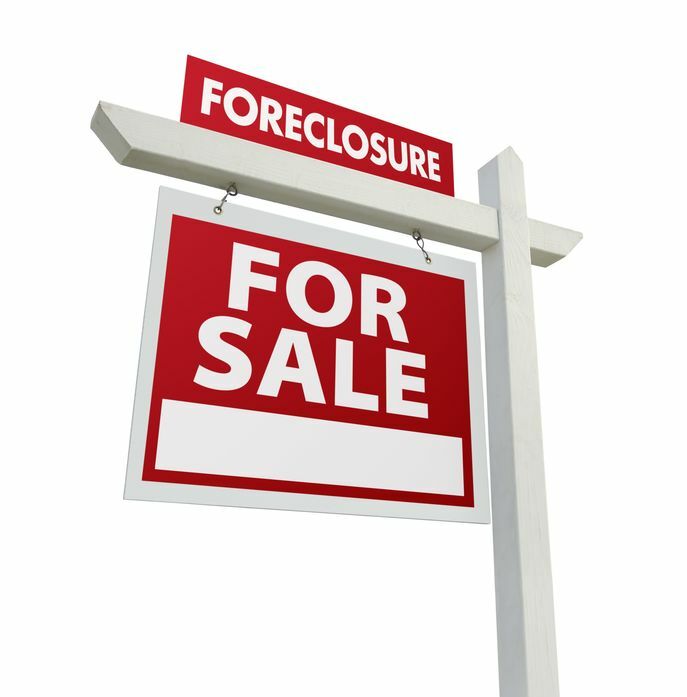 We can help you find foreclosed homes for sale. As real estate experts, we have experience selling foreclosed properties and can guide you through the process. 2. Work with your agent to set a price. Ask your real estate agent to show you closed sales of comparable homes, which you can use to set your price. Start with an amount well under market value because the lender may be in a hurry to get rid of the home. 3. Get your financing in order. Many mortgage market players, such as Fannie Mae, require buyers to submit financing preapproval letters with a purchase offer. They’ll also reject all contingencies. Since most foreclosed homes are vacant, closings can be quick. Make sure you have the cash you’ll need to close your purchase. 4. Expect an as-is sale. Most homeowners stopped maintaining their home long before they could no longer make mortgage payments. 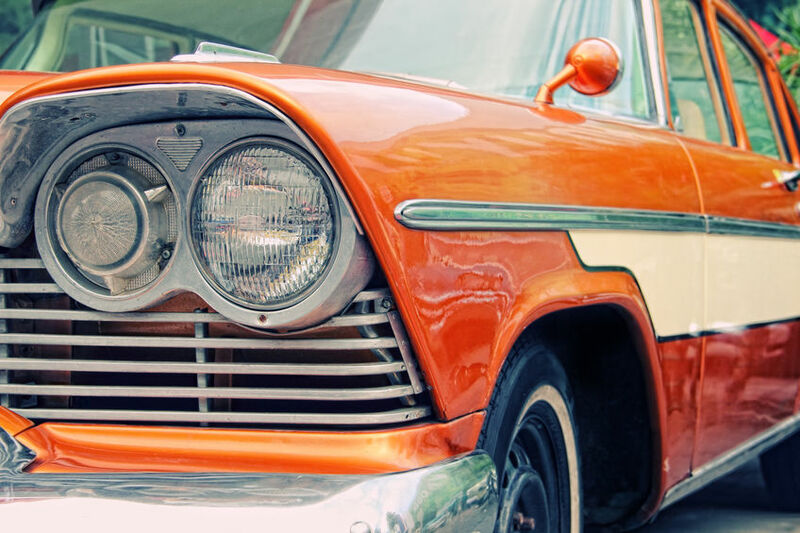 Be sure to have enough money left after the sale to make at least minor, and sometimes substantive, repairs. Although lenders may do minor cosmetic repairs to make foreclosed homes more marketable, they won’t give you credits for repair costs (or make additional repairs) because they’ve already factored the property’s condition into their asking price. Lenders will also require that you purchase the home “as is,” which means in its current condition. Protect yourself by ordering a home inspection to uncover the true condition of the property, getting a pest inspection, and purchasing a home warranty. Be sure you also do all the environmental testing that’s common to your region to find hazards such as radon, mold, lead-based paint, or underground storage tanks. Should You Buy That Fixer Upper in Austin? 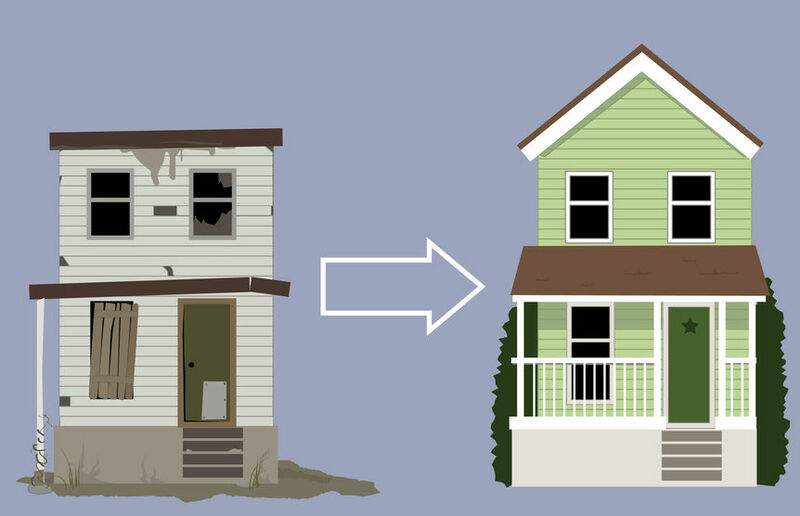 Buying a fixer-upper in Austin, if you buy the right one, can really be a great investment. If the right things are wrong with a house, it can become both your dream home, as well as earn a great deal of equity. You don't need to be a DIY guru wither. Patience and time are all that's needed. Here's how you can tell if that home you're looking at fixing up is worth it. A fixer-upper should be priced as such. 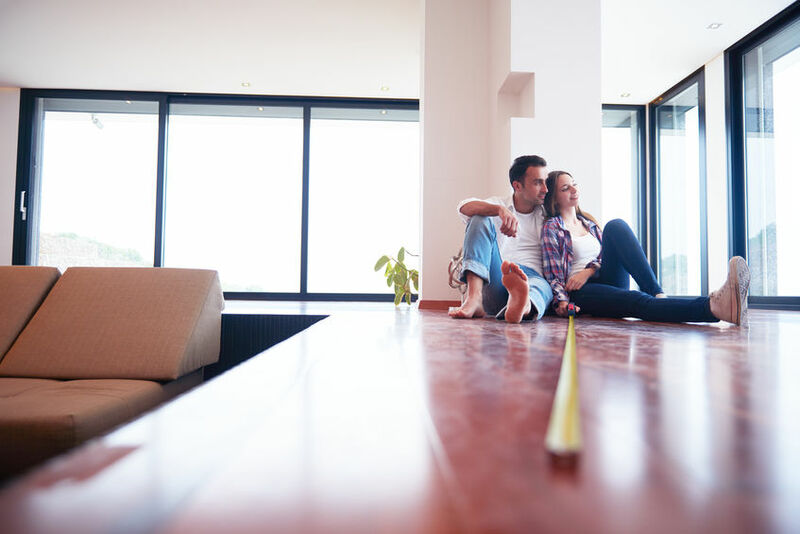 Try not to fall in love too quickly with a home that “just needs a little TLC.” make sure you do your research and make sure the price is right for the work needed. Also look at other homes in the neighborhood to see how much they sold for and how much work they've had and how fancy they are. you don't want to over-improve for the neighborhood, as this could affect the selling price in the future if you decide to sell. An ideal fixer-upper is a home that offers a lot of opportunities for “instant equity." This means that if your turned around and sold the home right away, you would get your money back. Some improvement tasks can be as simple as painting or landscaping, which you can accomplish with sweat equity. Other tasks may require the work of professionals and cash to pay them. It’s those projects you want to carefully evaluate against the home’s price. Which Hire-a-Pro Projects Add Instant Equity? Some home improvement projects that require a pro stay at the top of the list of things that will be worth the cost instantly. While those three are pretty safe bets. Almost any project can be worth it with a fixer-upper if the price is right. For example, a complete kitchen renovation can cost $65,000 and recover only about $40,000 when you sell. But if the fixer-upper is discounted enough, think how amazing it would be to cook in a kitchen you designed yourself. Whether you’re a DIY Jedi or content to let the pros handle the remodel, if your patience is shorter than your potential home’s to-do list, a fixer-upper may not be a good choice. Renovating a bathroom alone can take two to three weeks. Add hardwood flooring, a new kitchen, and siding, and you’re looking at a whole summer’s worth of rehab. When considering a fixer-upper, evaluate the limits of your emotional energy as well. Inevitable project pitfalls and delays can be wearing. Only if you have the time, patience, and emotional endurance for a fixer-upper will it be a good fit for you. And only you can determine that. But if you can budget your time and money, and employ the right fixer-upper strategies, you might find yourself with a double reward: A home that’s worth far more than you paid, and the joy of knowing you helped get it there. Now that spring is underway in Austin, it's time to get out and explore the many beautiful parks in Austin. Austin boasts a wide range of parks that feature an endless variety of activities and programs. 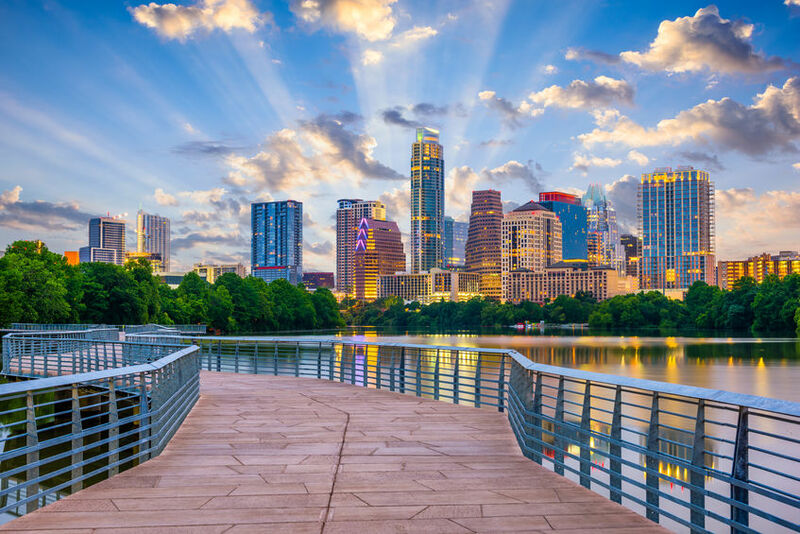 No matter what you want to do, you’ll find it in one of Austin’s many great parks, whether it be going for a swim, exploring nature, exercising, or learning about art and history. And of course, if you have kids, taking them to the park is the perfect way to wear off all that youthful energy. Here’s a few parks in Austin you might want to explore soon. Runners, walkers, and cyclists alike enjoy the 10 miles of trails that border Lady Bird Lake in downtown Austin. This scenic trail is the ideal place to relax as you enjoy the peaceful green parks and lakes. Home to Barton Springs, the Zilker Eagle, a large playscape, and four hundred acres of sports fields and woodlands, Zilker Park is a popular weekend destination in Austin for all ages. As the centerpiece of Austin, this spectacular park is adorned with trees, grottos, and other natural aquatic features. Zilker Park has been a fixture in Austin for 100 years. If you’re in the mood for catching largemouth bass, then Lake Walter E. Long, located in Walter E. Long Metropolitan Park is the perfect place to go. Or you can go boating, jet skiing, swimming, enjoy a nice picnic, walking or running. This enormous pool measures 3 acres and is located in Zilker Park. This historic pool brings together people from all around the city for a unique swimming experience, attracting almost 800,000 people per year. For more great parks in Austin, visit www.austintexas.gov/department/parks-and-recreation. When buying a home in Lake Travis and Austin, location is everything. It may seem easy to find a neighborhood filled with beautiful homes and think it's the right one for you. But there are other factors to consider when choosing a neighborhood that are not as evident, such as budget, non-negotiable home features, and proximity to the things you can’t live without. When it comes to searching for a new neighborhood, here’s a few things to consider. Property taxes in Austin and Lake Travis can play a huge role in your overall cost of living. Property taxes for specific homes are typically included in online property listings. You can find out more about property taxes in Travis County here. What to consider: How much will my property taxes be? Before you commit to a home, search online for crime stats for the neighborhood you want to move to. Determining if the crime level is acceptable is part of the process of choosing the right neighborhood. We can guide you to resources to help answer questions about a neighborhood, but we can't give you an opinion about neighborhoods per the Fair Housing Act. The act aims to provide equal access to housing for all groups of people and to protect against discrimination. What is the crime rate in this particular neighborhood? How about the neighborhood next door? What level of crime do I feel comfortable with? Land geography can play a role in costs — especially if you’re overlooking a scenic vista or you’re right by the water, especially in Lake Travis. On the flipside, look out for flood zones or other danger-prone areas when making a decision. Do I need special insurance in addition to homeowners insurance? Is this property in a flood zone? When buying a home, your agent can check for recent home sales in the desired neighborhood to get an idea of the potential value of homes in that area. Usually, similar homes in the same neighborhood will sell within a few thousand dollars of each other. What are the comps in this area? What’s the projected growth rate for this area? School zones come to mind when thinking of location, especially if you have children (or plan to have them soon), as they tend to affect home values. If schools are important to you, evaluate the schools in your neighborhood and which homes fall into which district. Additionally, there may be community centers or parks that increase the value of the neighborhood. What school would my child attend if we moved here? Are there parks or community centers in this area? Using these factors as a guide for finding the right neighborhood can help you evaluate what you care about and make the decision that’s right for you. Being a new homeowner is quite a learning experience. No matter what the project you try to tackle, it seems like there's always something that will catch you by surprise. Yet if you have the right items handy, then you can be better prepared for any scenario. By stocking your home with these following items, you'll be ready for any new challenge as a new homeowner. You’re gonna be spilling stuff. Look for a wet-dry vacuum that can handle everything from paint to nails and small stones. Most people don't realize there are more than one type if fire extinguisher. In fact, there are five different types of fire extinguishers with different uses, from extinguishing cooking oils to wood and paper. Check the U.S. Fire Administration’s guide to make sure you get the right one for your home. No one likes to deal with tangled cords, especially extension cords. You can save yourself time and hassle with cord management devices. You can also make your own with a pegboard, hooks, and velcro straps to keep each cord loop secure. Either way, your cords will be knot-free and easy to find. And be sure to include a heavy-duty extension cord in your organizer that’s outdoor-worthy. You don’t want to really have to use that fire extinguisher. Stud finder. You can make as many holes in the walls as you want now. Use the stud finder to figure out where to hang those heavy shelves so they’re safely anchored. Hand saw. Much easier (and cheaper!) than a power saw, you can get a good cross-cut saw for smooth edges on small DIY projects. Ratchet set. Every bolt in your new house belongs to you, so you’d better be able to loosen and tighten them when needed. Crank that ratchet to get to spots where you can’t turn a wrench all the way around. Great for when you’re stuck in a corner. Pry bar. Get one with a clawed end to pull nails and a flat end to separate drywall, remove trim or molding, and separate tile. You’ll need something to carry all those tools around from project to project. Create a tool carrier using a tool bucket liner and an old 5-gallon bucket. Or invest in a handyman belt filled with the basics to keep on hand in the kitchen. With a little self-confidence — and some YouTube tutorials — there’s (almost) no DIY project you can’t master. The Easter Bunny is on his way to Austin, with good times in store this month for the whole family. Even though Easter isn't until April 21, the fun times start next week in Austin with special Easter celebrations for the whole family. Here's what we have coming up this month in Austin to help celebrate the arrival of the Easter holiday season. Learn how to decorate an Easter Bunny Box with cookies and 3 Eggs with new techniques and royal icing. You'll learn how to make and assemble the box, wet on wet technique, along with all the methods needed to make the finished project. Caring Bunny provides an exclusive, subdued and welcoming environment for children with special needs and their families. Located in JCPenney Court 1, photos will be taken and available for purchase. Enjoy breakfast at D&B with the whole family and the Easter Bunny. Breakfast items include Scrambled Eggs, Sausage, Bacon, Roasted Potatoes, Bagels with Cream Cheese, Waffles, Fresh Fruit, Orange Juice, Soda, Coffee and Tea. Then take pictures with the Easter Bunny and a FUN easter egghunt in the Midway. Bring the whole family to South Congress for the first ever Little Limbo Easter Hunt. Pick up your hand painted map created by Watercolor ATX including each participating business. You and the kids will go along to different shops on South Congress, bunny hopping and dancing like a duck to earn your earn your Easter Eggs. The you'll meet back at Little Limbo for a grand prize. Spring is coming up soon, and so are the spring cleaning projects. One of the tough spots can be the kitchen, especially if you cook regularly. Even if you don't clean the whole house, it can feel like you did after tackling the tough spots in the kitchen. That can definitely be the case if you love to cook and bake. The devil is in the details they say, and that is certainly true for appliances. The nooks and crannies of your appliances can be tough to keep free of grime, even if you do wipe them down regularly. These spots include knobs, grills, exhaust filter on the range, door crevices and rubber linings on the dishwasher and fridge, and the individual parts of small appliances. You can usually put range grills and filters in the dishwasher. But if you can't, then good old elbow grease and a cleaning brush, baking soda, and soap do the trick. If you have a really grimy range hood filter, you might try boiling it in water with 1/2 cup baking soda. Your appliance knobs could also do well with a soapy soaking, then scrubbing with a brush and baking soda. You're no doubt used to the way your kitchen is organized. Maybe it's been the same way since you moved in. But have you thought about reorganizing your kitchen according to tasks? Think about what you do in your kitchen every day, from brewing coffee to food prep to washing dishes. Once you do this, then unload, wipe down, and reload your cabinets, placing items that are used for a similar purpose together (French press and coffee mugs; knives and cutting boards, etc.) in the area where they will be needed. Now it's time to check expiration dates. You may be surprised how long that bottle of soy sauce has been in the fridge. Check all the staples in the fridge and cupboard to see if any are expired. This also applies to dried spices. Spices lose their effectiveness after about a year. Having a fresh supply of spices will make your recipes zing, and will make more room in the cupboard. To avoid waste in the future and save money now, buy small amounts where bulk spices are sold. Speaking of rancid, when was the last time you cleaned your reusable grocery bags? Studies have found bacteria easily transports from bag-to-food-to-refrigerator, increasing the chances of food poisoning and cross-contamination. Throw them in the washer or wash by hand with hot soapy water. Bad habits can be hard to break. 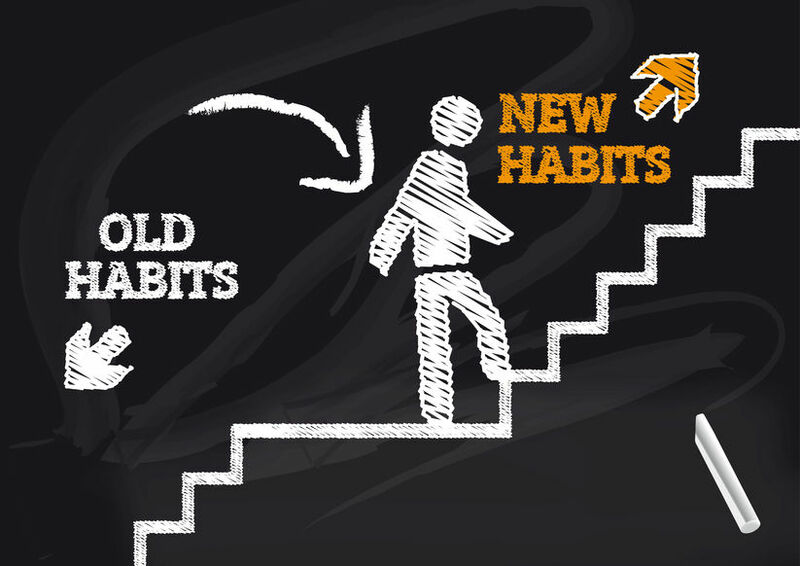 It's so easy to start a bad habit since we may not realize it's bad in the first place. When it comes to owning a home in Austin, bad habits can be costly. Here's a few habits that would be good to break. Who doesn't love a long hot shower, especially after spending a relaxing day on Lake Travis? It may be good for your body, but long showers build up steam that is also great for mold and mildew. Make sure you run the exhaust fan or open a window during and after your shower. Every few months, make sure to scrub the grout. When it comes to household items, it's better not to go cheap. In fact, budget buys might cost you more in the long run. Those dollar paintbrushes may look like a good buy, but they will usually leave annoying streaks, requiring a costly do-over. And when it comes to buying appliances, spend a little more — especially if you plan on selling your home soon. Sure, it's nice to have clean dishes every morning. But if you don't do a full load, you're wasting water. It's true that dishwashers save more water than handwashing. Yet most machines will use the same amount of water no mater how full the load is. In the end, you're wasting water and can cost more on your utility bill. Don't go overboard with the mulch around your tree, as this can suffocate your tree, causing root rot and inviting invasive insects. Your trees can add a lot of value to your home. Each one can add $2,000 or more to your home’s value while saving on energy costs. Protect your valuable trees by packing mulch loosely, letting water filter properly toward the trunk. You don't need to launch into remodeling the moment you buy your home, unless it really needs it to be lived in. Take time once you move in to get to know your home and all of it's quirks before you renovate. For example, lets say you remodel your kitchen, then discover the original layout would have worked better for parties. Or you pain a room your favorite color, only to discover that the natural light makes it not so much your favorite color. It's easy for things to pile up, especially in the garage or shed. There's always that "what if" when it comes to getting rid of things we don't use. Many people use a 6-month or 1-year rule - if you don't use an item in that time, ditch it. Decluttering can seem like such an insurmountable goal — even though every jam-packed square foot is space you can’t enjoy. If the task seems impossible, start small. Just remember: Breaking habits takes time and patience. But it's worth it. No doubt, you've already hear about being "pre-approved" if you're planning on buying a home. Yet many people don't fully understand the process. In short, being pre-approved for a mortgage means that the lender decides if you're eligible for a loan and how much you can borrow. This decision is based on your finances and credit rating. Being pre-approved is necessary for a number of reasons. It gives you clearer picture of how much money you need to complete the buying process. The more you put down, the lower your monthly payments will be. You will also get a better idea of how much you can afford for the total price of the home. Many people make the mistake of thinking that the loan product that a friend used will work the same for them. Even though that's a possibility, it's not safe to assume so. No two loans are alike, just as no two lives and circumstances are alike. Loan products also have different costs, such as varying lender origination fees. Your loan officer can work with your to learn the costs of a loan and how the loan process works. This will give you a good idea of what costs to expect. Knowing these things will make you more comfortable when deciding on a home to buy. It also shows sellers that you're serious about making an offer, giving you an edge over buyers who haven't been pre-approved. 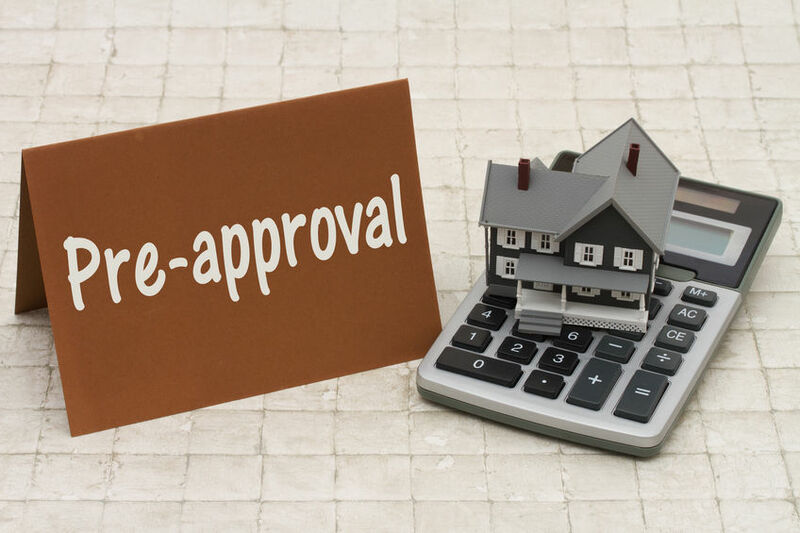 Pre-approval is an easy process, so there's no reason not to do it. You just need to know how much money you make, assets, and debts.